Michael D. Weinstein, P.A. : Criminal Defense & Litigation is a criminal defense attorney in Fort Lauderdale, Florida committed to protecting the rights of those who are facing criminal charges or arrest. The criminal justice system can be challenging to navigate without help. Unfortunately, individuals facing misdemeanor charges face increased pressure to plead guilty to crimes, whether or not they are actually guilty. Even individuals facing felony charges can face pressure from prosecutors and officers to plead guilty in order to lower a potential sentence. In some cases, police and prosecutors have little to no evidence to convict. However, without a criminal defense lawyer, individuals may be frightened into making decisions they cannot take back. If you are facing misdemeanor or felony charges, contact Michael. D. Weinstein, P.A., Fort Lauderdale, Florida criminal defense lawyers today. The firm fights diligently for the rights of individuals facing a range of criminal charges. When police bring a person in for questioning or arrest an individual on suspicion of a crime, the goal of an office or detective is to get a confession or get information from a suspect to lead to a criminal conviction. Unfortunately, police tactics used during questioning can lead to false confessions or coercion of information that may not always be accurate. Officers are legally permitted to use a variety of tactics to get a confession. For instance, officers can lie, yell, pretend they have evidence, and confine a person for a period of time. These tactics can lead individuals to say things they may regret, or even say things that may not be true. The Reid Technique: Officers usually begin their questioning by asking control questions that are not related to the crime. Police may try to build rapport with a suspect. They may tell a suspect that they are “on their side.” Then, officers will ask more pointed questions related to the crime. Officers watch closely for signs of anxiety or other tense body language. Unfortunately, many individuals who are held for questioning may experience anxiety. After all, who wouldn’t be nervous facing questioning and confinement in an interrogation room? The best way to avoid being subject to the Reid technique is to assert your right to remain silent and to ask to speak to your Fort Lauderdale, Florida criminal defense lawyer. Good Cop, Bad Cop: Officers may yell, scream, or claim to have evidence that a person committed a crime. Another officer may come in later, offering compassion. Individuals tend to open up to people who offer compassion in these tense situations. This can lead to a person saying things which can be incriminating. Playing on Your Faith in the Justice System: Innocent individuals often have an unwavering faith in the justice system. Unfortunately, detectives and prosecutors are trying to build a narrative about what happened. This narrative can sometimes involve a misinterpretation of evidence and the things a suspect says. If you are facing arrest or police questioning, understand that police and detectives may be trying to build a case against you. The best way to protect yourself is to seek the advice of Michael D. Weinstein, P.A., a criminal defense lawyer in Fort Lauderdale, Florida. If you have been charged with a crime in Fort Lauderdale, Florida, you need the personal attention of a criminal defense lawyer. Michael D. Weinstein, P.A. works closely with each client to help get the best possible outcome under the law. In some cases, the evidence doesn’t support a conviction. In other instances, officers had no legal grounds to make an arrest. Our firm fights to get charges dropped or reduced. Don’t plead guilty. Don’t settle for less. Contact Michael D. Weinstein, P.A., a criminal defense lawyer in Fort Lauderdale, Florida. 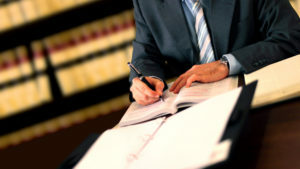 For more information on criminal law in Fort Lauderdale, click here.